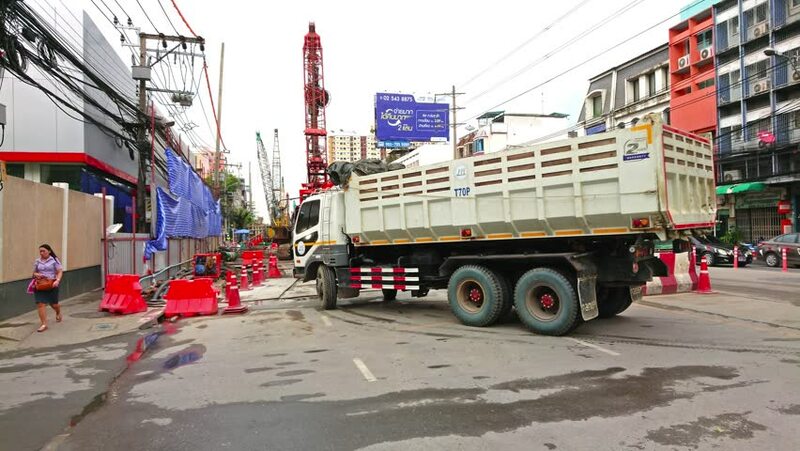 4k00:15BANGKOK/THAILAND-July 14, 2018 : Panning shot of BTS Sky train construction working site for orange line on Ramkhamhaeng road. 4k00:24WASHINGTON, DC - JAN. 26, 2018: Clearing downtown street of snow, front loader scoops and loads larger front loader for moving snow. The two-day blizzard dumped two feet of snow on the city. hd00:15Tampere, Finland - November 27 2018: Asphalt spreading machine in the tramway construction site.